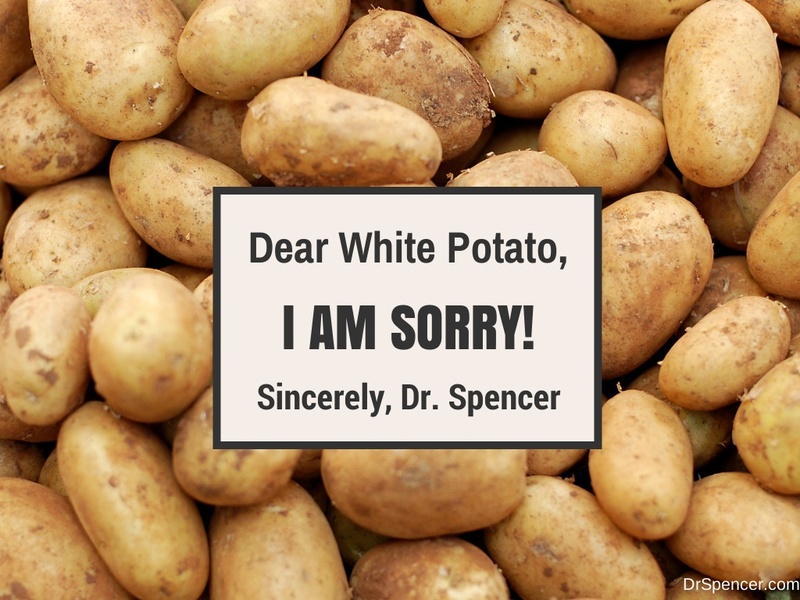 Dear White Potato, I am Sorry! When I was 8 years old, my aunt told me I was going to turn into a french fry. THAT’S how much I loved them. When I got into middle school though, I realized I was not going to attain the Greek God-like body my brother had (he is four years older than I am) by eating french fries so I quit. This proved to be a good strategy because I eventually attained at least a demi-god like body (not quite god-like). At the end of high school and in college, I still did not eat those fries even though I wrestled heavy weight and needed to keep on the pounds. I did still eat baked potatoes once in a while. In 2007 when I made the change from a high calorie / high carb / high everything (I wrestled heavy weight in college what do you expect?) 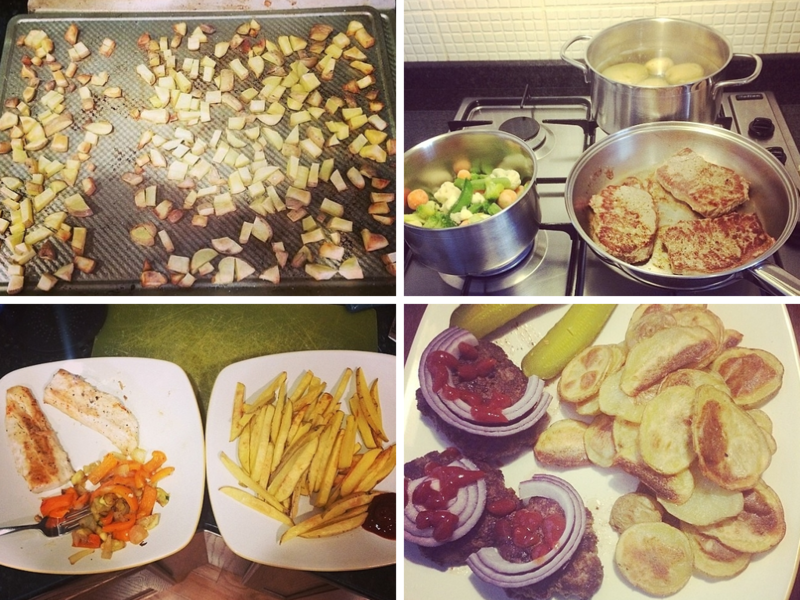 to a low carb lifestyle, I swore off ALL white potatoes – including fries, baked, you name it. 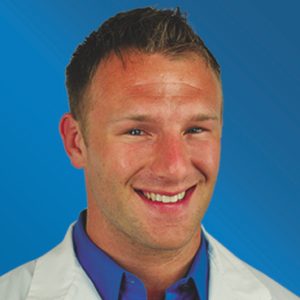 I went from my blurry 4-pack 255 pound wrestler to a chiseled 225 pound 6-pack medical student. While I KNEW from the literature that the tiny insulin fairies would not deposit fat on my body while in a eucaloric or caloric deficit state, I was still scared of the white potato and its high glycemic index/load. Silly Dr. Spencer (or at the time just Spencer). A few years back, a PhD by the name of Susan Holt looked at how full someone got by eating a fixed amount of calories in different types of foods. Guess what was found? The boiled white potato had the highest rating on the scale. The insulin fairies’ hunger spells that were casted were no match for the potato. So what this basically means is that despite having a glycemic index higher than bread, potatoes (at least boiled) filled you up more – calorie for calorie. Whether you believe sugar is evil, the fact that potatoes even get mentioned as being equal to sugar is ridiculous. Potatoes have vitamins, minerals, fiber, and phytochemicals, whereas sugar is devoid of these things. In fact, white potatoes are a VERY good source of potassium, which can be an important dietary addition when combating high blood pressure. There is no comparison. When I decided to do a bodybuilding competition, my coach and I discussed the need to switch to a higher carb approach to keep my energy up in the gym while on a hypocaloric diet. If you haven’t read how I did the switch, read here. When making the change, I needed to find carb sources that were nutritious while keeping me full. Look no further than the white potato! In fact, I got inspiration from my fitness Facebook friends. 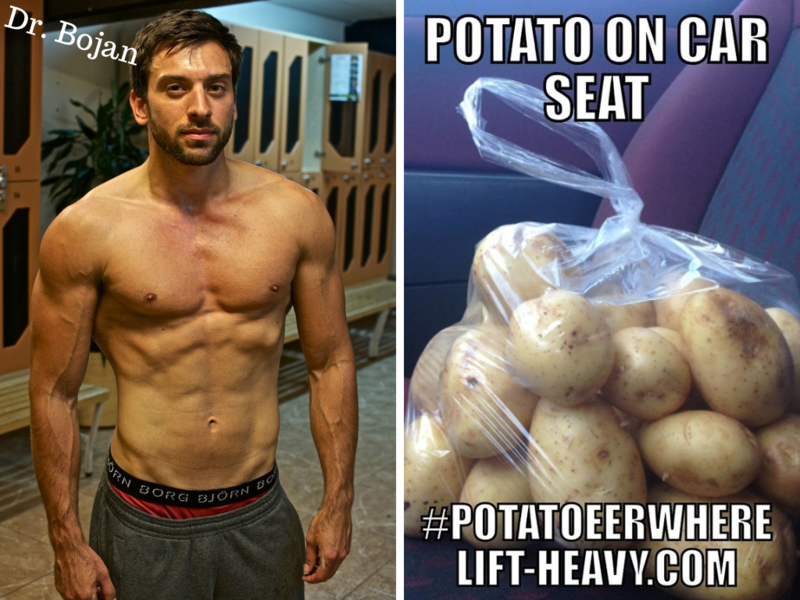 One of my friends, Dr. Bojan Kostevski (a fellow doctor who lifts) even had a #potatoeerwhere campaign as he literally had potatoes EVERYWHERE. Clearly Dr. Bojan is lean while eating what looks to be a bag of white potatoes eerday… every day. Maybe he was on to something? Another friend who is well known in the fitness Facebook community for being obsessed with potatoes is Kate Giovino. When she isn’t dead lifting or taking her daily selfie, she is likely eating a potato. I have never met someone so obsessed with a specific food, however her tubular (or tuber?) lust caught my attention. Why NOT eat white potatoes? Okay so I know what the low carbers are thinking. “Are you kidding me Dr. Spencer? My blood sugar would fly through the roof!” Yeah I would recommend starting with just a serving or two of BOILED white potatoes weighed out with just a tad of salt on top. Not sour cream or butter to make them HYPERpalatable. That would defeat the purpose. I am also not making the case that everyone NEEDS to eat white potatoes. All I am saying is that we must not fear them. This is anti-fear mongering as opposed to high praise. One thing to consider is that once I make my baked chips/home fries/french fries, the potatoes aren’t the same as the high satiety boiled potatoes. They become much more hyperpalatable and you will want to eat more. This sort of defeats the purpose so don’t think I am extrapolating that data to prove my point. I will leave you with one more thing. 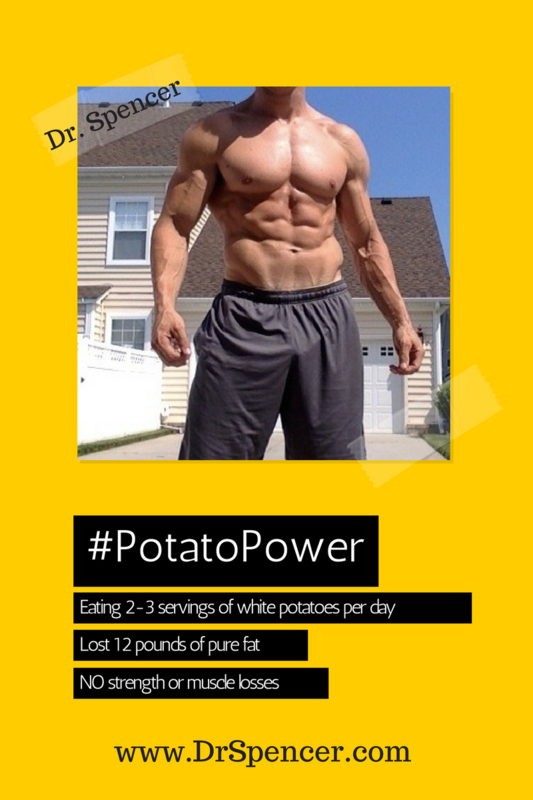 I have eaten on average 2-3 servings a day of white potato and have lost about 12 pounds of pure fat. Yes I have a lot of muscle to use the glucose and yes I have a great resistance training program and yes I am only 30 years old. However, I will say that you should attempt to add a serving or two back into your diet or at least not be scared of them anymore.